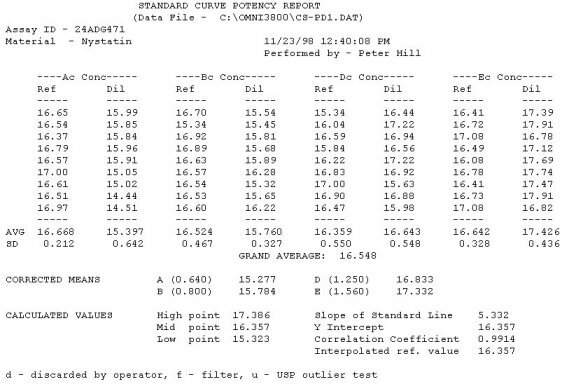 The OMNICON USP Zones of Inhibition software performs all calculations in accordance to the procedures defined in the Code of Federal Regulations Standard (CFR) 436.105 as well as in the Section of Design and Analysis of Biological Assays <111>, Chapter of Biological Tests, United States Pharmacopoeia (USP). 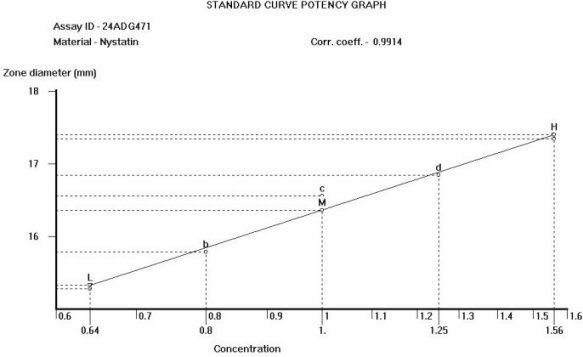 The software calculates the mean and standard deviation values, excludes zones based on the USP Outlier Test and draws the Zones of Inhibition potency line graph for the Standard Analysis. 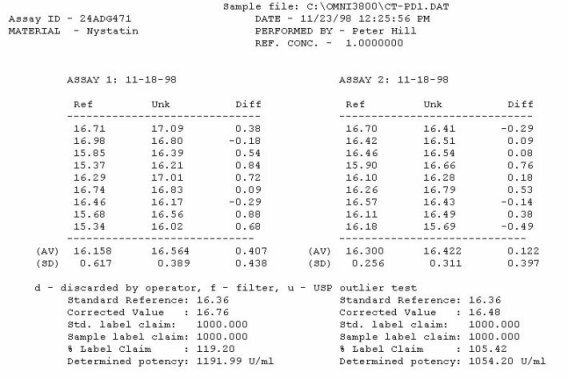 It also calculates the differences between the reference assay and the sample test assay; obtain the mean and standard deviation of these differences, calculate the label claim percentage and the determined potency value for the Trial Analysis, or the Trial analysis results based on weight and dilution. The OMNICON Zones Reader reads each 100 mm petri dish with 6 zones in less than 3/10th of a second, measuring the diameter and shape of the zone. The shape value can be used to exclude zones which are oval due to spills or irregular growth. The OMNICON USP/CFR/AOAC Zones of Inhibition software is compliant, providing three levels of security, audit trails and data encryption.